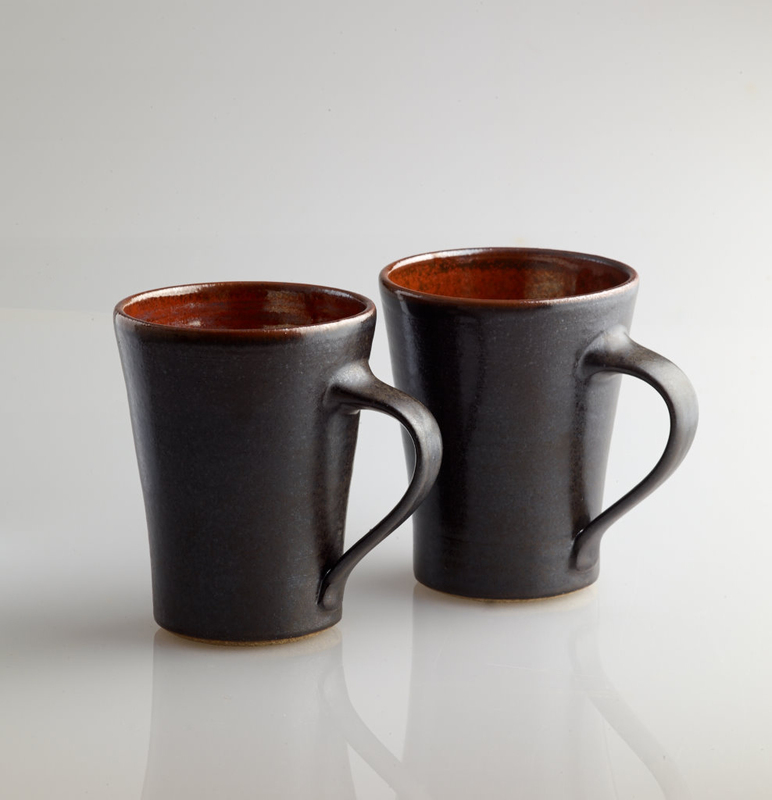 Stoneware suggests a more robust solidity in contrast to porcelain's refined quality. It is a tough material, made up of the same common elements as the vast bulk of the earth's crust. 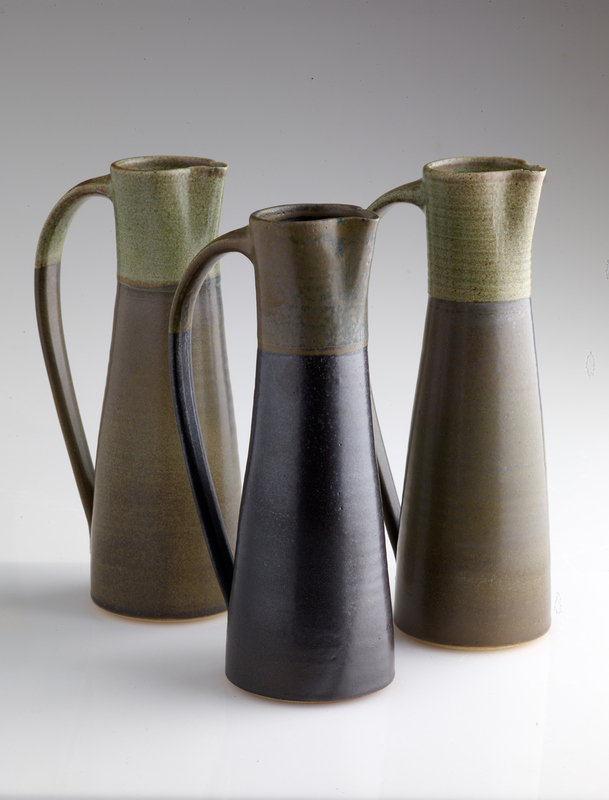 Stoneware sings of alchemy; of materials fused together in the intense heat of the kiln, to produce both subtle and striking glazes as varied and beautiful as pebbles on a beach. Included below are some new pieces on the theme of alchemy, with birch handles and gilded spots, resulting from a collaboration with artist Prudence Maltby earlier in 2015.